There's nothing worse than being confused about a dress code, and showing up as that person who gets it so, so wrong. With 2016 Formula 1® Rolex Australian Grand Prix approaching, we're assuming you'll be hitting up the stylish M-Lane—it's going to be pop up restaurants and entertainment galore—but, like us, you might be wondering what you wear to an event that's both sporting and totally fashion, darling. Bring your denim out of the dullness of the work week by dressing it up with some edgy accessories, a simple clutch, and—this year's feature shoe—an over the knee boot. We love this denim dress with a touch of cutout detailing. Perfect for this transitional weather. This little heart shaped bag is the perfect way to add a quirky touch to a great girly outfit: Crisp white shirt, full skirt, and a midi-heel. Equal parts cute and cool. Look, you're going to be outside—let's be honest, a perfect blow dry ain't going to work! A sleek pony is the perfect way to add sophistication to a mini-dress: just add a simple clutch, natural makeup, and a wedge heel to keep it out of the club and onto the track. A sporting event doesn't necessarily mean you have to wear sport-luxe trends: we love this acid yellow lace playsuit—paired perfectly back with a relaxed hairstyle, feature clutch, and pop lip. Heart eyes! The perfect way to nail an obscure dress code is to go monochrome: it translates as luxe and stylish, whilst still retaining an air of laid-back cool. A pop colour shoe will elevate the look without making you seem like you're trying too hard. If there's one trend we've seen everywhere this year, it's the luxe bomber. The perfect way to add an air of rock'n'roll chic to a little black dress or a pair of skinny jeans, the silk bomber ensures you'll never look too overdressed in the pit lane. Layering is still going stong in 2016, and we've certainly seen a few fashionistas layer on the goods recently. Choose similar colourways (maximum three tones is best), and ensure a good mix of textures to lend interest. 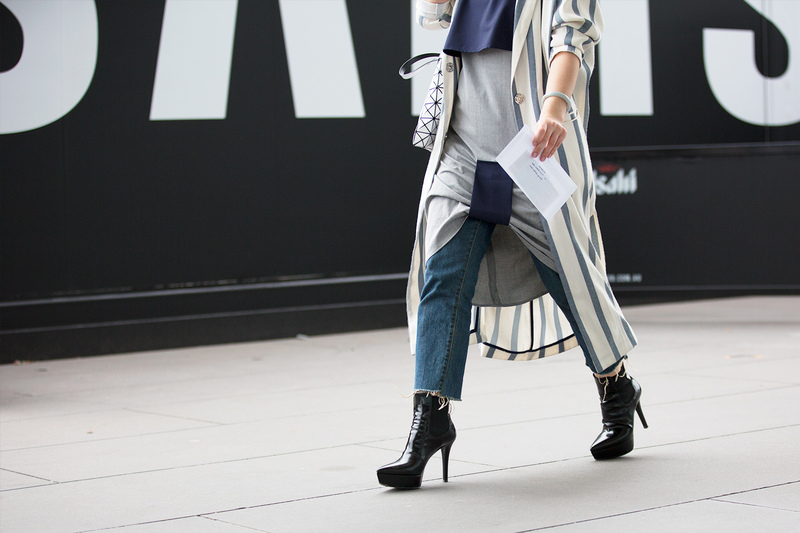 If all else fails, a dress over skinny jeans, with a bomber or light trench is a never-fail solution! If you're going to take just one tip for your Grand Prix styling, make it this one: after all, fashion is meant to be an expression of you! Bust out that kooky print, add a heart shaped clutch, pair it back with something simple, and head to M-Lane for some fun this weekend.